The Camellia japonica plant pictured here is a close relative to the tea plant, Camellia sinensis, both native to southern Asia. 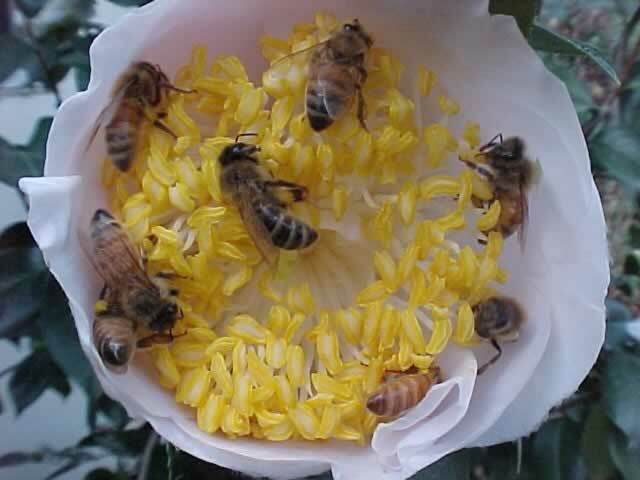 The bees in the top picture are of three different types. 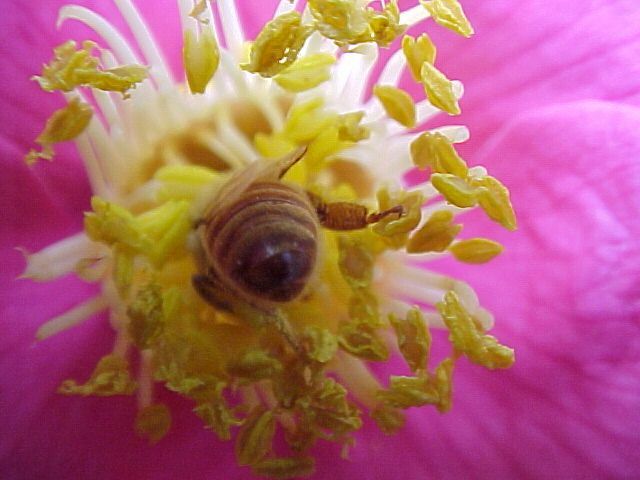 The dark bee in the center of the flower is a carniolan worker. 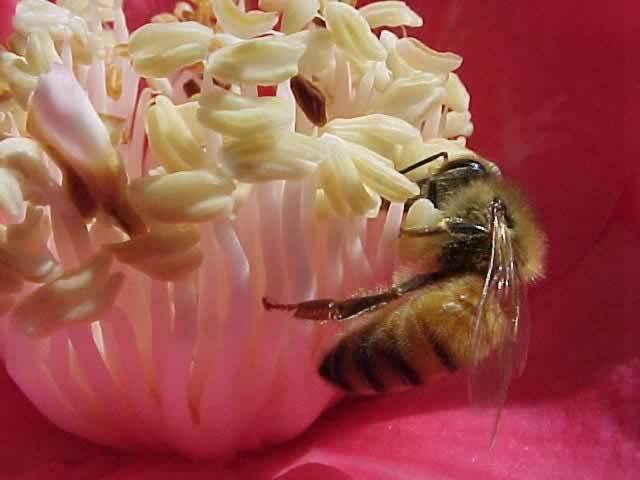 The very yellow bee working at the bottom of the same flower is a cordovan bee, a color variation of Italian bee. All the other bees on this flower are regular Italian bees. The closeup picture of the bee in the lower photo is also and Italian worker bee. Notice how hairy this bee is. These hairs are there to catch hold of pollen, some of which will be transfered to other flowers and result in cross pollination. Camellias are known for their many different varieties and hybrids. Honey bees may play a key role in the creation of these beautiful flowers.